Herbert Teitelbaum has been recognized by his peers for his outstanding achievement as a New York commercial litigator. He has litigated cases before federal and state trial and appellate courts in many jurisdictions as well as before administrative agencies. Prior to forming Siegel Teitelbaum & Evans, LLP, Herb was a senior litigation partner at Bryan Cave, LLP where he led the firm's securities litigation practice group. He has litigated cases on behalf of corporations, partnerships, government agencies, and individuals in securities, real estate, environment, and contract and partnership disputes. He routinely assists clients in order to settle disputes without litigation. Herb also is experienced in conducting internal and external investigations, having led a public agency that was charged with investigating government officials. For over forty years, Herb has litigated an array of cases on behalf of clients. For example, he has successfully represented at trial an international sports and convention center operator against claims of unsafe conditions in a professional sports arena. He represented the owner of the Columbus Circle site in New York City against the environmental and land use litigations brought in state and federal courts to prevent the revitalization of that area. Herb successfully defended a private equity company against claims that its investment strategies violated the short swing prohibitions of the federal securities laws. After trial and appeal involving a partnership formed to develop a hotel in mid-Manhattan, Herb successfully prevailed on counterclaims for millions of dollars in damages as well as an extraordinary order requiring to construct the hotel. When the owners of an internationally known New York hotel contracted to sell the property, Herb successfully defended the hotel against a frustrated bidder who filed claims in the New York and Texas courts. He has represented several of the most prominent New York real estate developers in partnership, contract, environmental and commercial landlord/tenant disputes. He has litigated against city, state and federal law enforcement authorities, and has defended clients in connection with government investigations. From the beginning of Herb's legal career he has had and maintained a deep commitment to civil rights and civil liberties. Soon after graduating law school, Herb brought the first case to challenge state residency requirements that interfered with the voting rights of citizens moving from one state to another. That case was affirmed by the Supreme Court of the United States and changed the voting laws in every state. He served as the Legal Director of a national civil rights organization where he prosecuted class actions to secure equal rights for minorities in housing, employment, voting and education. He has participated in class action litigation to protect the employment rights of women reporters. Herb led groundbreaking litigation against the Former Soviet Union's tourist agency for selling tour packages without disclosing a pattern of government sponsored harassment of tourists. 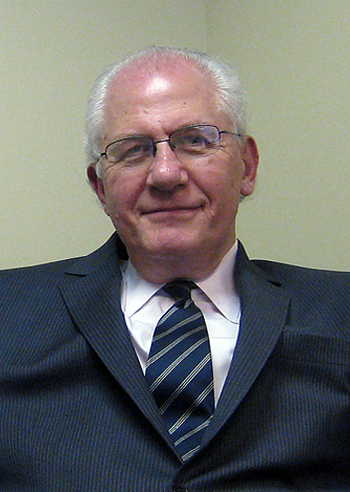 Over a three year period, Herb was retained to train the Equal Employment Opportunity Commission's staff lawyers in trial practice techniques. He has served as a cooperating counsel to the NAACP Legal Defense and Education Fund, as the President of the New Israel Fund and the Chair of the Lawyer Committee of the National Conference on Soviet Jewry. Herb has been honored for his contribution to the cause of equality and human rights.